Want to encourage hand washing with your kids? 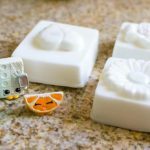 Create these easy homemade soap for kids with hidden toys inside and they’ll be begging to wash their hands to get to the prize inside! 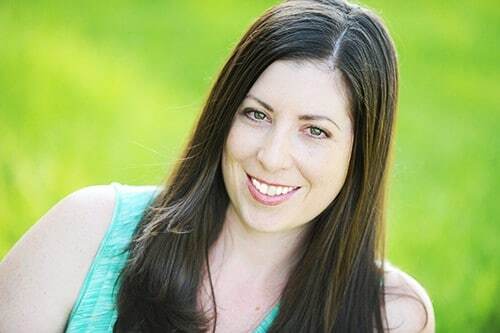 Why are my Kids ALWAYS Sick? I have an 8 and 3-year-old in school and daycare and it seems like they are getting sick every month. I was discussing how frequently they get sick with my dad, who is an EMT professor, and he recommended I encourage more frequent hand washing. The statistics on how effective hand washing is to reducing illness is, frankly, startling 1. So, I started brainstorming… what easy ways are there to encourage more frequent hand-washing for children? 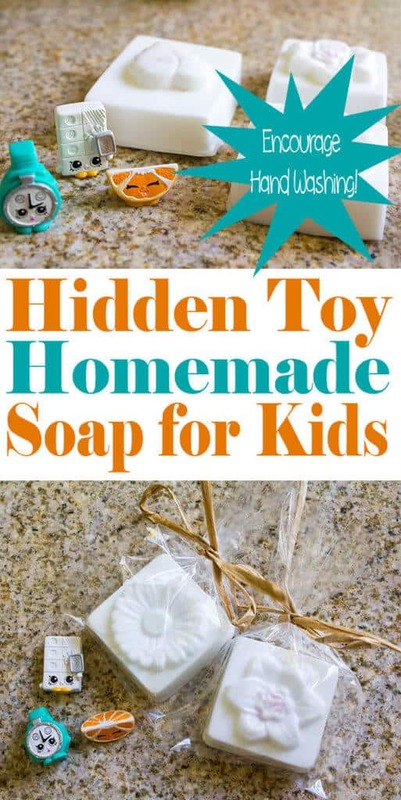 And then the idea came to me… I could create homemade soap for kids, with hidden toys inside, so they want to wash their hands to get the prize! I created homemade soap for kids, with hidden toys inside, and wanted to share the tutorial with you! *I picked up my soap base at a local craft store, but I recommend this natural soap base. Add the desired amount of soap base to a microwave-safe bowl, and microwave until melted (about 30-60 seconds). Add in essential oils (I added 25 drops for 5 bars), stir well, then pour into soap molds. 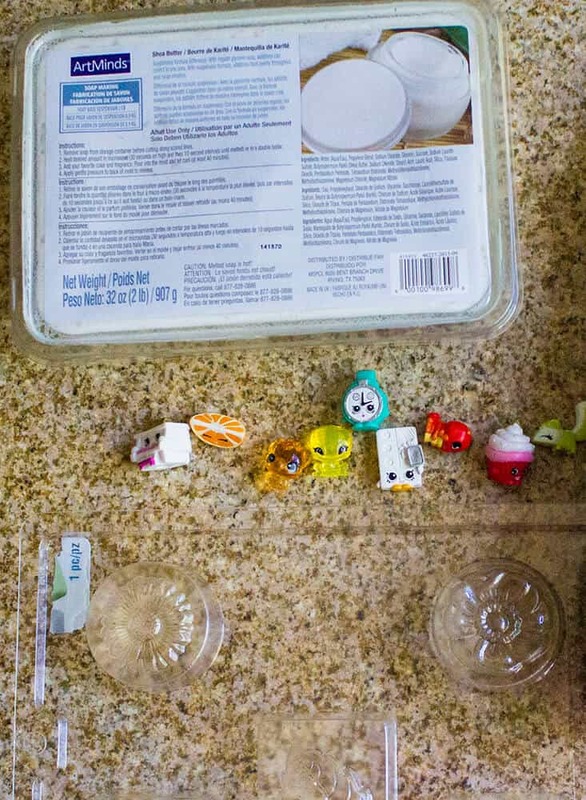 Allow to sit for 5 minutes, then place the small toys in the center of each soap. If your children are old enough to handle tongs, you can have them help you with placing the toys, which they really enjoy! Allow them to set 45 minutes, then gently remove from the molds. That is it! 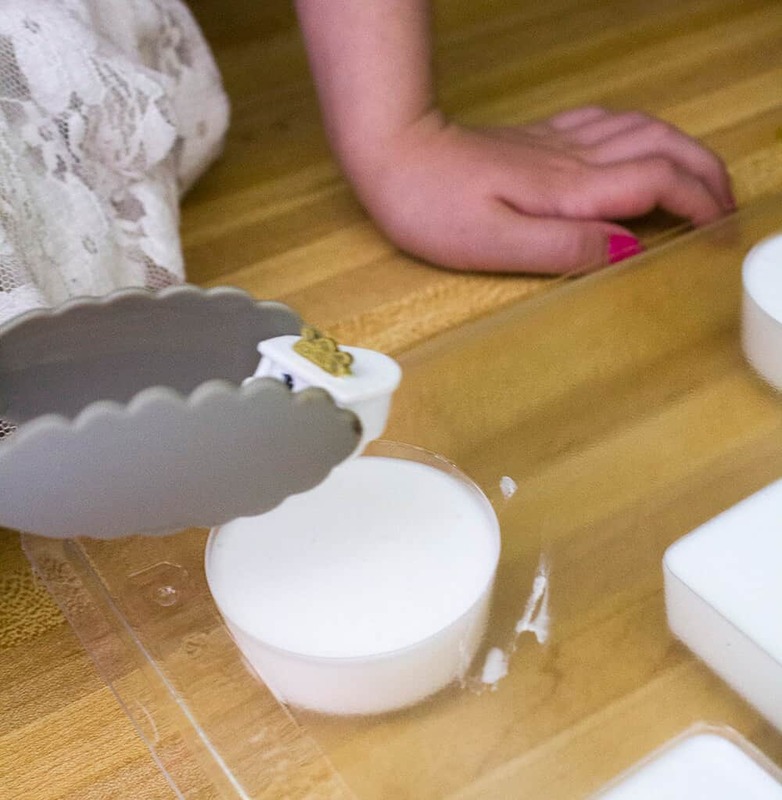 Your homemade soap for kids are ready to use! I picked up some bags and twine and gave some of of the soaps to friends with little ones. It is such an easy and relatively inexpensive gift! I am planning on making a fresh batch of them to give out to my daughter’s class. Because it’s flu season! Here are some more tips on keeping kids healthy during cold season! Here’s a printable recipe to hang on your fridge or share with a friend! 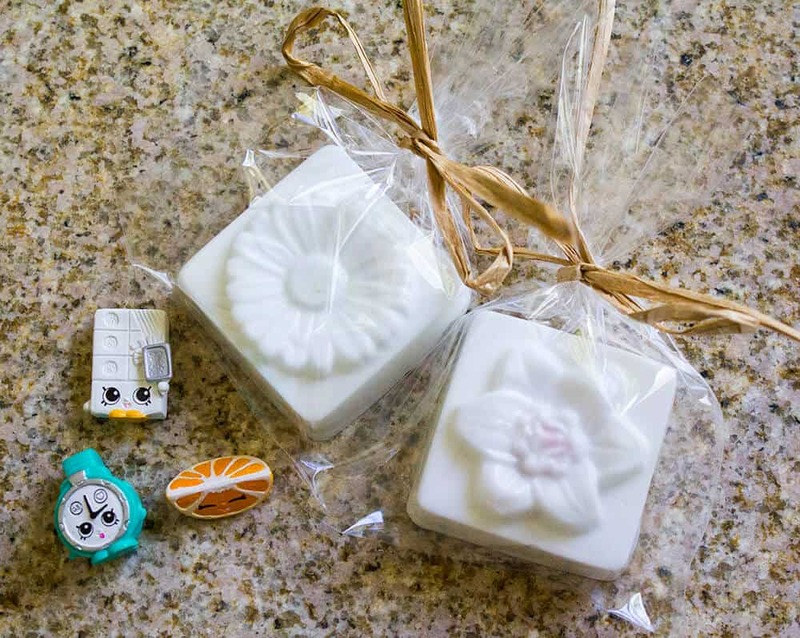 Homemade soap for kids with hidden toys inside to encourage frequent handwashing! This is a super cute idea. However, the last time we had soap with a toy in it, my daughter destroyed the soapbar, in one use, to get at the toy! Wow, this is a good idea. I am sure kids would love this. This is perfect for party souvenirs too. My kids would LOVE this! Going to take notes and give it a try myself, such a brilliant and fun idea! That’s an awesome idea! They are having fun and stay healthy in washing their hands, really great job! This is such an awesome idea!! 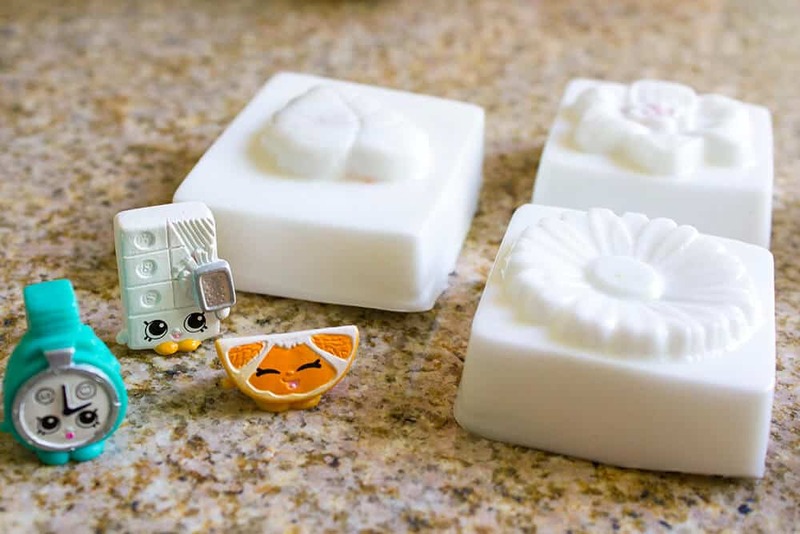 I would have never thought of doing this, My little Shopkins fan would love soap like this. Great idea, so I applaud your creativity in coming up with a fun reason for kids to WANT to wash their hands. 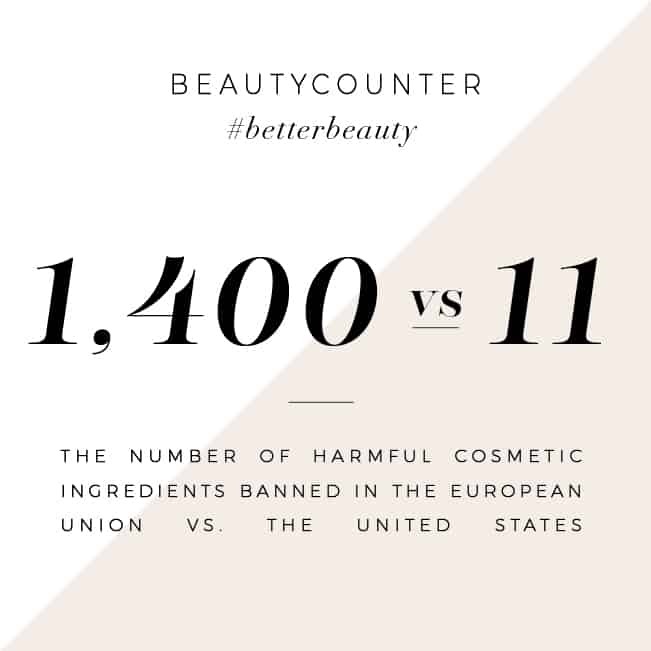 Saves you having to fight with them every day … perfect! This is a wonderful idea! I have young grand kids and I believe this would encourage them to wash their hands more often. Thanks for sharing! This would be fun to make. Maybe my boys would wash their hands better. I used to make homemade soap with my children when they were younger. It was so much fun and they loved using the soap they made. 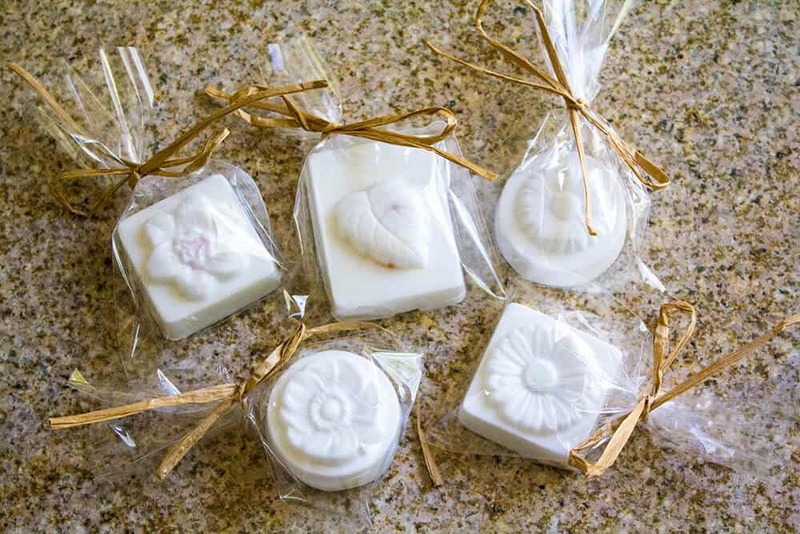 We also made soap to give as gifts and party favors. This is SUCH a fun idea. My kids will LOVE this!! !